Note the following applies to Windows Vista, but is probably easier on MacOS/Linux. Is your hosts file becoming monstrous? Do you have an alias or shortcut to your hosts file because you edit it so often? Tired of manually adding every subdomain and domain you work on? I was too when I thought there must be a better way. And there was. The general idea is this: by installing a local DNS nameserver in BIND, we can set up local development domains that look like regular domains on the internet. For real domains, we’ll just forward the requests on to a real nameserver. This gives us a couple more benefits: 1) we can use the local nameserver as a caching nameserver to speed up DNS queries (in theory, I have not actually done this), and 2) we can choose to use any DNS service we wish, i.e. OpenDNS, or Google DNS. 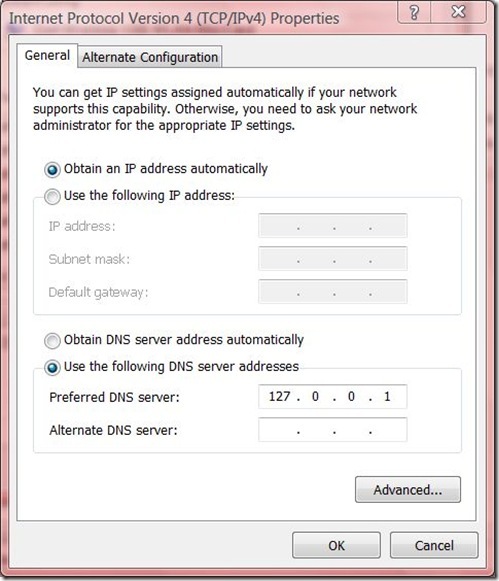 Follow these instructions on installing and configuring BIND and configuring a zone for your local domain. I installed BIND to C:\Windows\system32\dns. Here is my named.conf in its entirety. I created a zone file for my development domain work.local following this zone file example. Here is the zone file in its entirety. Note the CNAME wildcard record. Start or restart the BIND service. Test BIND by pinging www.work.local. If you have errors, you can uncomment the logging block in named.conf. Once that is working, create a VirtualHost in Apache for your development domain. Thanks to VirtualDocumentRoot, we can map any number of subdomains to project roots. Here is my VirtualHost block. Create a directory in C:\_work, for example, C:\_work\awesomeapp. Create a test index.html file in that directory. You should now be able to go to http://awesomeapp.work.local in your browser and see your index.html file! Now, you should be able to repeat step 8 for any new website you create! No editing of hosts files, no bouncing the webserver! Just create the project directory and it’s immediately available. One other important note: Firefox has its own DNS cache independent of the OS. For sanity, restarting Firefox resets its DNS cache. 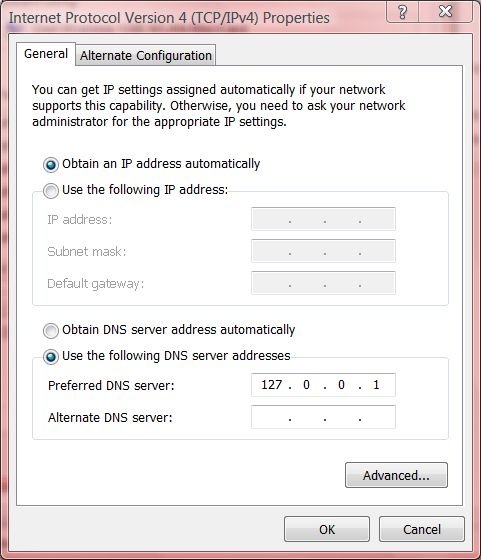 You can also permanently disable DNS caching in Firefox.